Mission: To provide knowledge and networking forums for the Government learning community to build a highly skilled workforce. Vision: The premier network of skilled government learning leaders. 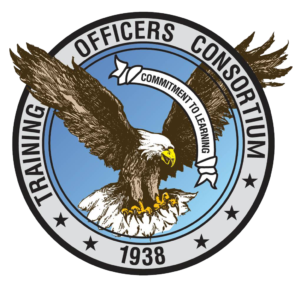 The Training Officers Consortium, founded in 1938 in Washington, DC, is a nonprofit organization of federal trainers and other professionals from industry and academe who are interested in contributing to the knowledge and practice of human resources and training. Our Registrants provide services and networking opportunities to the federal training community throughout the Washington, DC metropolitan area and beyond. Since 1938, TOC has served as the primary meeting place for Federal training professionals to network with their peers and learn more about key issues affecting them in today’s rapidly changing workplace. Click here to register today! A Washington, DC, training program that offers federal workers unparalleled value, TOC is built upon a foundation of service and excellence, relying on the volunteerism of its Registrants to carry out activities. Trainers, educators, and human resource development specialists serve as resources to other trainers in departments, bureaus, agencies, and offices of the federal government. Training by TOC is authorized under the Government Employees Training Act. This program features ten monthly face-to-face events and ten monthly webinars, all featuring specialists in human resource development, education, technology, economics, business, political science, and personal development. Registration includes travel, room and board, and access to a three-day conference providing skill-building workshops, seminars and sessions. Registrants display promotional materials and vendors may purchase a showcase booth. This program honors trainers and training programs that have made a significant contribution to training & development. Published ten times a year as part of the monthly program announcement bringing the latest information about TOC Executive Board and volunteer committees’ activities. Assists outstanding local DC high school students interested in earning a college degree leading to career in human resource development.